Crime has subsided in comparison to a decade ago, but abject lack of resources and insufficient deployment of security assets have emboldened criminals to act with impunity and inspired more lethal criminal activities. The brazen robbery and killing of America Street money-changer, Shawn Nurse (aka ‘Fabulous’), on February 4, 2018, and other recent shootings, evince such criminal audacity. Daily press reports of armed robberies, shootings and murders are damaging Guyana’s image and undermining our nascent ecotourism and petroleum industries. Crime will also deter foreign investments and engender more warnings from Washington and other major capitals. Murderous Venezuelan gangs, ‘Sindicatos’ are terrorizing residents along the border. Villagers, businesses and gold miners in Hosororo, White Water and communities in the Amakuru River, in Region One, live in fear in Region Seven. There have also been reports of them in Region One. Venezuelan gang members cross the border into these communities in Guyana, unrestricted. They conduct shoot-outs, demand taxes and seize cash, gold, household items and store inventories. They have ostensibly killed several Guyanese working in Venezuelan border mining communities and reportedly beheaded a young Guyanese miner in January. This gruesome killing was videotaped and released on social media. I am from Essequibo. I’m in communication with residents in these Regions. They advise that these murders remain uninvestigated and report no increase in security or capture of gang members to restore public safety. The border remains lawless and dangerous. Residents feel vulnerable and neglected. Apart from Major General Joe Singh (retired) warning about this dangerous border crisis, there have been no warnings from national security authorities or the Ministry of Foreign Affairs. This neglect and abdication of the solemn responsibility of a government ‒ protection of its citizens, is a national disgrace! These are challenging times for Guyana. While the country is developing, its security and defence infrastructure remain anaemic. Laws, assets, services and the criminal justice system are underfunded, under-resourced and antiquated. Crime-fighting measures by successive governments have been inadequate or ineffective. This coalition government’s record on security is dismal. No one has been held accountable for its copious public safety failures. High crime and activities on the Venezuela border pose significant threats to stability and national security. Simultaneously, there is an increased world focus on Guyana, whose international profile has been elevated because of imminent oil production. While the border controversy is addressed by the International Court of Justice (ICJ), the government needs to implement new measures to bring crime under urgent control. If not these pervasive lethal, crimes will destabilize the country. Apart from recruiting, training and deploying thousands more law enforcement and defence personnel, the government needs a 1000 fold increase in additional security resources and assets. The national treasury alone cannot fund these acquisitions. The government will have to mobilize these resources from the international community. Our diplomats around the world should be tasked with this responsibility. 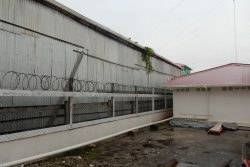 Guyana’s criminal codes must be updated and existing penalties severely toughened to protect from modern crimes and new criminal techniques. Security services must dramatically increase patrols on the border, coastal waterways, in Georgetown and other population centres. These and other measures will give citizens confidence that the government is competent and deserving of their support.